Apple, Microsoft, and Amazon report respectively on Tuesday, Wednesday and Thursday. 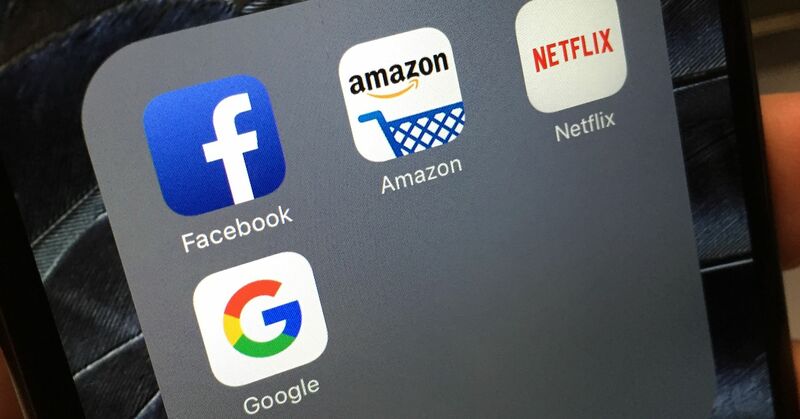 There will be heavy focus on them, not just because they are the biggest stocks — Microsoft first, then Amazon and Apple fourth — but because they represent growth and have been market leaders. Facebook, the sixth largest stock by market cap, also reports on Wednesday. Microsoft, on the other hand, has far less exposure to China, and Piper Jaffray analysts make a case for it to beat estimates, based on its historical performance.”The combination of top line outperformance and cost discipline has allowed for Microsoft to materially outperform on the bottom line. Although a repeat of performance is not guaranteed…we model a scenario in line with historical averages that supports EPS outperformance relative to guidance of ~$ 0.12 or EPS of $ 1.20,” they wrote in a note. Cowen analysts expect Amazon will see revenue growth of 19 percent, to $ 72.1 billion, driven by e commerce, web services and advertising. The firm reiterated its outperform rating on the stock. “We also forecast 4Q18 Operating Income (GAAP) to be ~14% above the high end of guidance, with ~17% incremental margins driven by AWS, the ramping high margin Ad biz and 3P mix shift,” the Cowen analysts wrote. They also have a target of $ 2,250 on the stock.